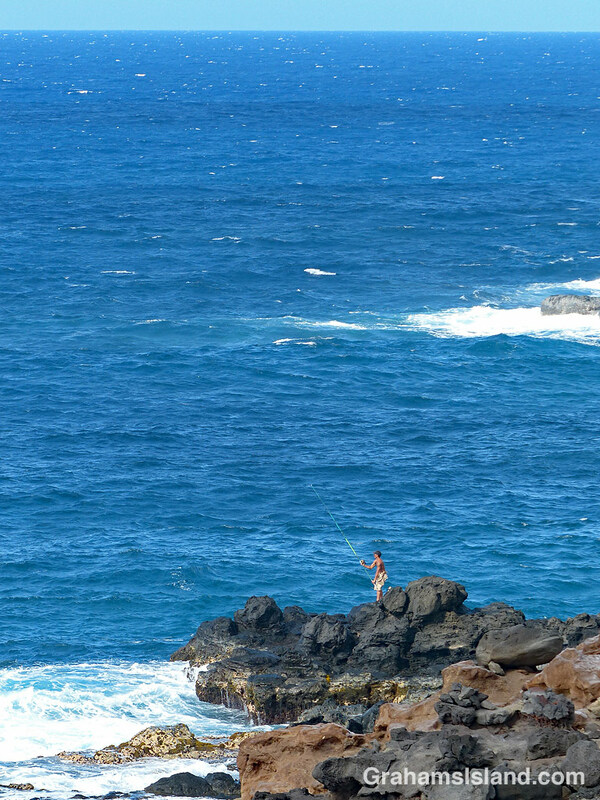 A lone fisherman tries his luck in the coastal waters off North Kohala. Nice shot, Graham! I made a similar shot for Instagram in the golden evening light and called it the Lonely Fisherman. Great photographic minds must think alike! I find fishermen make a handy focus for many photos on the coast.